Finally after a couple weeks from the announcement Atari has unleashed their mobile game version of the extremely popular and classic RollerCoaster Tycoon series and now finally I can try and find different ways to scare off all of my amusement park visitors on the go! 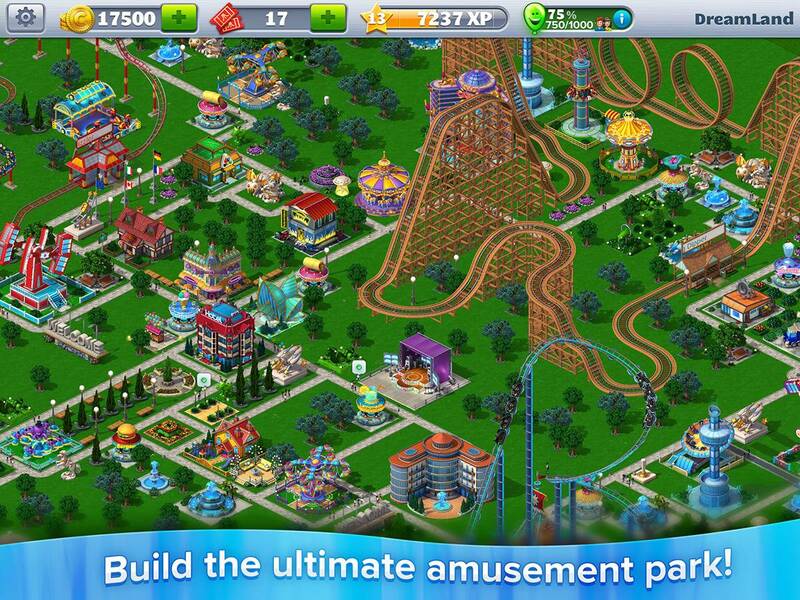 RollerCoaster Tycoon 4 Mobile will introduce the ability to create and share amusement parks with your friends along with the feature to even share different roller coaster blueprints. Along with the sharing features, RollerCoaster Tycoon 4 Mobile will include 20 pre-designed coasters, 50+ different attractions, Leaderboards. One thing I noticed is that the game does include the ability to purchase more currency with real money and I’m sure there are countless IAPs to be bought in-game. Even though I’ve been dying for a mobile version of RollerCoaster Tycoon I’m really hoping the game isn’t going to be ruined with the IAPs like the whole Dungeon Keeper fiasco, so for now it’s best to not get your hopes up too high even though mine is already sky high. You can pick up your copy of RollerCoaster Tycoon 4 Mobile in the App Store right now for a measly $2.99 and I forgot to also mention that the game comes pre-loaded with over $5.00 of in-game currency.